Your face is the first thing people notice about you. It’s a huge part of your feminine image. Not surprisingly, there are many subtle and not-so-subtle differences between male and female faces. What can you do if you have so-called “masculine” features? The good news is that you DON’T have to start shopping for a surgeon! 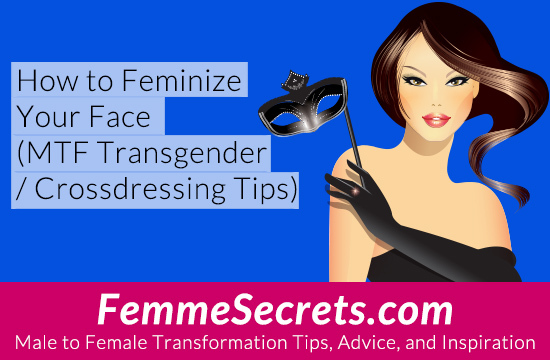 In this article – written specifically for crossdressers and transgender women – I reveal 7 differences between male and female faces. Men’s foreheads tend to be higher and wider than women’s foreheads. Men have a bony ridge called “brow bossing” that runs across the forehead above the eyes. Women have smooth foreheads. Men’s foreheads tend to slope backward while women’s foreheads are more vertical. Go for wispy bangs. Wispy bangs hide your forehead while softening the rest of your facial features. Say “no” to short bangs. Instead, go for bangs that are long enough to fully cover the brow ridge. Men’s eyebrows tend to have a straight shape; women’s eyebrows are arched. Men have lower eyebrows than women. The eyebrows sit below the orbital rim bone in men and above the orbital rim bone in women. Visit a salon to have your eyebrows professionally shaped. While it’s easy to pluck your own eyebrows, it’s also easy to overdo it. I recommend having a professional create your ideal shape. Then you can maintain that shape yourself. Create beautiful eyebrows with makeup. Here’s a great tutorial on creating feminine eyebrows – even if you can’t pluck. 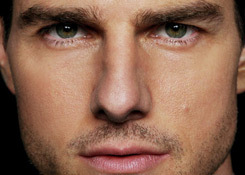 Due to the brow ridge, men’s eyes appear more deeply set than women’s eyes. Men’s eyelids tend to be slightly closed, giving the eyes a narrower look. First of all, if you feel self-conscious about your nose, relax! There are loads of beautiful women with prominent noses. Men have longer, wider noses, while women’s noses are shorter and narrower. The bridges of men’s noses tend to be straight or arched, while women’s noses tend to be more concave in profile. Bring attention to your other features. 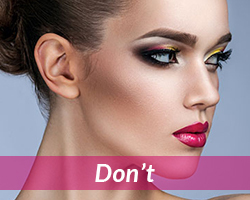 The best way to downplay a prominent nose is to enhance your eyes, lips, and cheeks. If you do a good job with the rest of your makeup, your nose should fade into the background. Men tend to have flatter cheekbones, while women have prominent cheekbones. Women have more facial fat, giving the cheeks a fuller, rounder appearance. Apply blush correctly. A common mistake is to apply a stripe of blush along the bottom of the cheekbones. This enhances the angular appearance of your face. Instead, blush should be applied to the apples of your cheeks. This gives you a feminine glow and creates the illusion of fuller cheeks. Try injectable cheek fillers. Injectable fillers such as Restylane, Perlane, or Radiesse can give you fuller, softer-looking cheeks within minutes. These treatments are costly ($500+), but they last up to a year and make a huge difference to the overall appearance to your face. An added bonus is that filling your cheeks can give saggy skin a slight lift. Men’s lips tend to be thinner than women’s lips – particularly the top lip. The distance between the base of the nose and the top lip tends to be longer in men. Use a lip plumping device. For an instant boost, try a lip plumping tool like Candylipz. Candylipz uses suction to temporarily plump the lips, with results lasting for several hours. Avoid dark lipstick. Dark lipstick makes your lips look even thinner, so opt for lighter, brighter shades instead. While a strong jaw tends to be associated with masculinity, many of the world’s most beautiful women have square jawlines: Angelina Jolie, Demi Moore, Gweneth Paltrow, Salma Hayek, and Gisele Bundchen. Men tend to have longer chins than women. There is often a sharp angle between a man’s chin and jaw, giving the chin a square look. Men’s chins tend to have a flat end, while women’s chins come to a point. Men have wider, heavier jaws than women. Choose a soft, shoulder length hairstyle. Go for wavy, layered hairstyles that gently cover the jawline. Short or chin length hairstyles that reveal your jaw should be avoided if this is a problem area for you. Shoulder length hair is most flattering. Looking beautiful isn’t about having perfect features. It’s about working with your natural features to create an overall look of beauty and femininity. The more of these tips you apply, the more feminine your face will look! I’d love to see your results, so post your favorite face shot below. Let me know what’s working for you and if you have any other tips or suggestions to share. And as always, thank you for reading and participating! P.S. Want to discover even more advanced techniques to feminize your face? 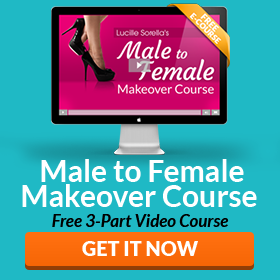 Learn how to transform your appearance in the next 2 weeks with Makeup Magic: The Ultimate Male to Female Makeup Program. So who would say I pass then and who say not yet ? I personally think these topics are always important as well, Also another point that has been brought up to me alot has been the fact that true gender women tend to smile a fair bit as well, where as us transgender ladies and also those who have decided to just cross dress don’t smile enough or over do it even. I hope you have more tips on voice as well. Thanks, Lucille, for the situational exellent advices. As for me I take the serious attention to my face. At first eybbrows. They were thick earlier, but now they have an average thin arch form that I can get by every month plucking them by myself. Lips are more feminine from the birth and they have close to the surface located blood capilars, so they look painted even without lipstick. But to transform them to more feminine form I use every day L’OREAL lip Explosion and they are transfiorming day by day to the lips of 5 years old girl with plump lips that looks so feminine. My eyelashes before go to bed I moisteurise by the special L’OREAL balm that makes them so sleepy and cares of them in the night. To hide the more large parts of my face I use the shadows play including the basic, tonal cremes, a blush and a puff. But to achieve the more serious effects I started to have the innovation epilation method called elos-epilation. It takes only 2 times per 20 minutes and 200 dollars to eliminate drastically and completely all facial hair from the zone of cheeks and around absolutely painlessly. And i’m looking forward to purchase nano technology cream of double length increasing the eyelashes directly from USA producing firm. HI LUCILLE ! I’m planing to come to las vegas in april 2012 and I need to know if glamour boutique performs all this work, without the injection part. the eyes, wig, lips and cheeks. if I do need an injection along the line, is there a place I can go to? I love your statement of how to look really feminent. I’m not the young person I used to be, and hope they can still make me look good. thank you for all the help you have given me. please let me know if you can help me. hope to see you in las vegas next year. ..BEST REGARDS MANFRED. Lucky for me I was blessed, I ended up with most of my mothers features, the only thing I have to down play is my fathers nose. I am under the opinion that the most important function one can do to have a feminine face is cleansing. You need to look at your face as a mat for art work, the art work of makeup. 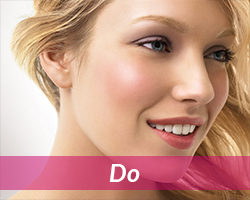 Yes the application of makeup is very important and not only can but will enhance your beauty and to look more feminine. So use the tips here on this site, but do yourself a favor and clean the mat at every chance to make the makeup look more natural. Good article. The part on the lips is a bit inaccurate though. It’s a myth that women have fuller, more lush lips than men. I have seen many women with thinner lips than most men out there. Women with thin lips is actually quite commonplace. The women with the lush, full lips are the minority. To over-exaggerate the lips with makeup can look really fake if not done properly, so it’s much better to just go with what you have. Chances are your lips are well within the realm of normal for women. Hi Heather, great to to hear from you. It’s true that many women have thin lips, but it’s also true that fuller lips are a symbol of beauty and femininity. I don’t recommend over-exaggerating the lips, but subtle enhancement can often help soften and feminize the overall face. The key is subtlety and knowing what is appropriate for YOU.